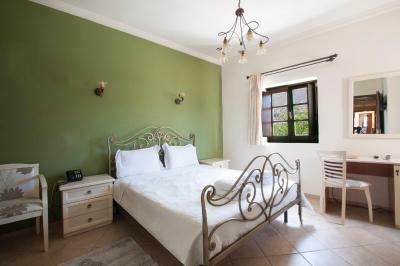 Lock in a great price for Areos Polis Boutique Hotel – rated 8.8 by recent guests! Very convenient location in the city square. 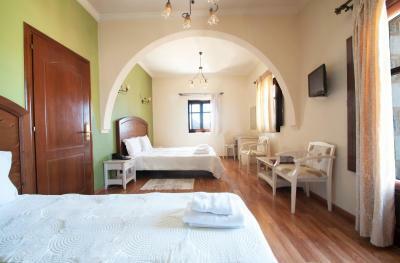 Different styles of rooms within the hotel. Very friendly and accommodating owners and staff. I plan to stay there again when in the area. 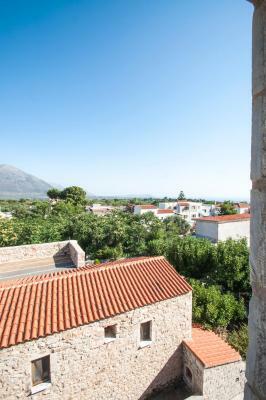 Best location for exploring the Mani Peninsula. 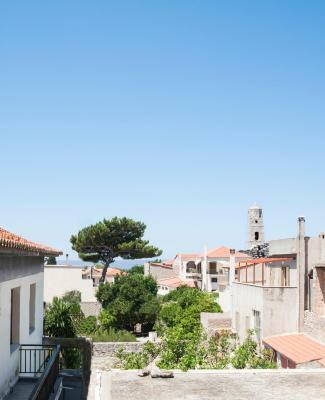 A wonderful little cliff top town to wander around in. Hotel is pretty and located conveniently on main square. 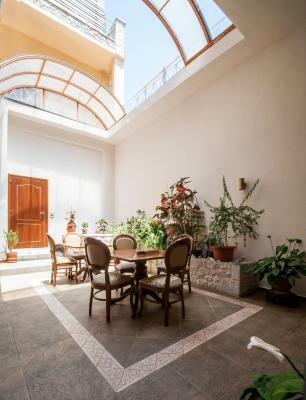 The location was very comvenient and the hotel was overall fine: beautiful and spacious, whereas the staff was awake to greet us altough we arrived very late in the night. Moreover, our room was big and well-lit. Super helpful staff and great breakfast options. The location is in central Areopolis and it's a small town so easy to walk around and see what sights there are. It's a 5 euro taxi ride to Limeni if you want to have dinner by the sea. The fit-out is really lovely - very airy and calm with lots of wood and a big common area downstairs. I stayed an extra night because it was so comfortable. Lovely well run hotel on the main square. Nice rooms,smallish bathroom but a nice balcony. The staff are very helpful and friendly. Nice breakfast. Would stay again. The breakfast was amazing made with local products! Super hosts very friendly and willing to assist and make suggestions! The room was pretty with a very nice view! The room was clean and the bed confortable. The woman in the reception desk was very helpful and competent, she helped us a lot getting some useful information for us, her english was perfect. Very convenient hotel just in the centre of the town. Nice room with balcony. Lovely family run hotel. 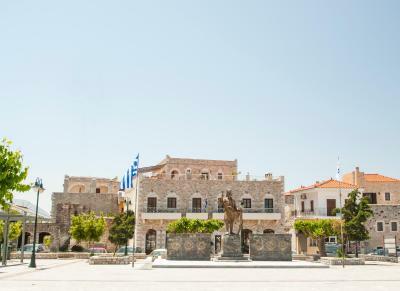 Overlooking main square with easy access to the old town. Fantastic breakfast, one of the best in the Mani. 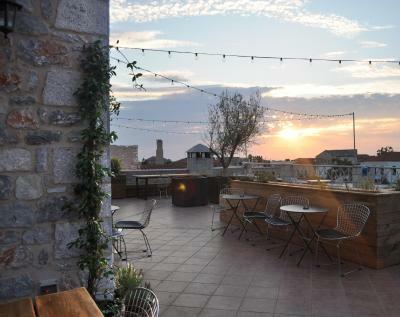 Areos Polis Boutique Hotel This rating is a reflection of how the property compares to the industry standard when it comes to price, facilities and services available. It's based on a self-evaluation by the property. Use this rating to help choose your stay! 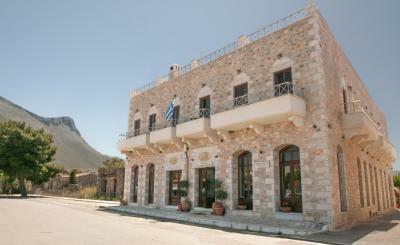 Hotel Areos Polis is located in the center of the traditional settlement of Areopolis, Mani’s historical capital. 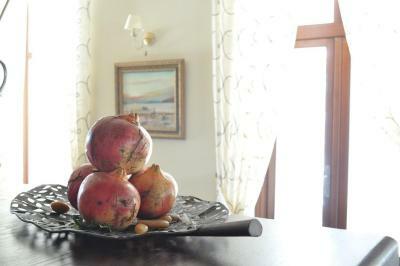 The family-run boutique hotel offers elegant, uniquely styled rooms and suites with free Wi-Fi. 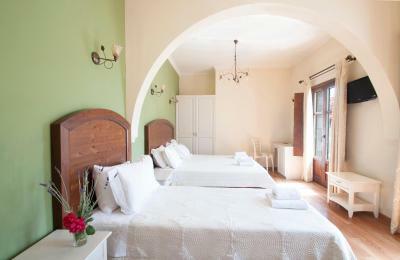 Each boasting fine furnishings, romantic elements and sun-filled spaces, the spacious rooms and suites are decorated in accordance with the long history of Mani. 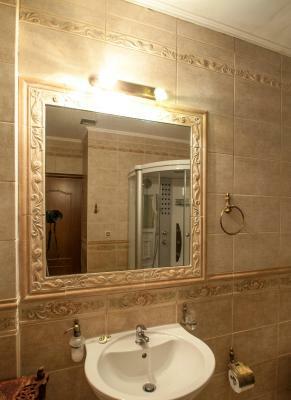 Modern features include a 22-inch LCD TV with satellite channels. 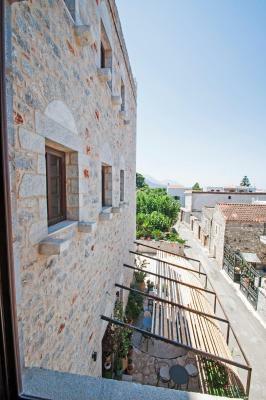 Balconies offer traditional settlement, mountains and panoramic sea views. A daily breakfast buffet, including local pies, Mediterranean flavors, as well as gluten-free products is served at the in-house Olive Restaurant. The café bar serves coffee and tea varieties and light snacks in a relaxing setting by the fireplace. A rich brunch is also available. Areos Polis Hotel serves as an ideal base for exploring the wild and beautiful landscapes of Mani, the churches and chapels, and the scenic beaches. 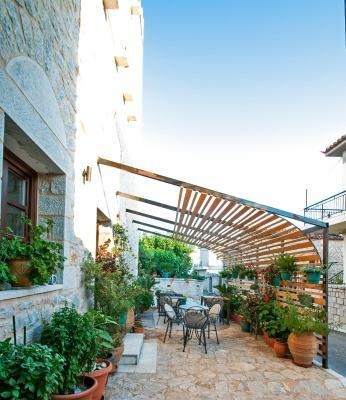 It is a short walk from the main pedestrian street, with its many tavernas, shops and bars. The beach is 3.1 mi away, while Diros Caves are 6.2 mi away. Bike rides, horse riding and guided walks can be arranged on site. 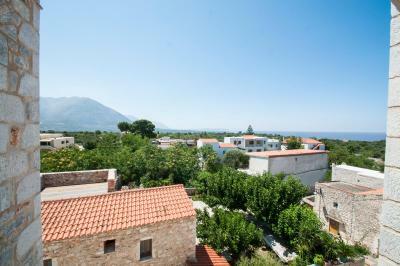 This property also has one of the top-rated locations in Areopoli! Guests are happier about it compared to other properties in the area. 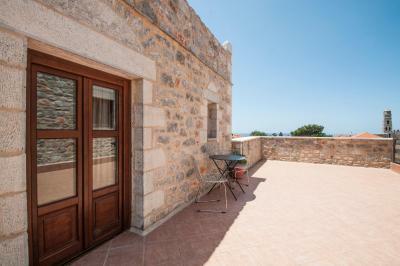 This property is also rated for the best value in Areopoli! Guests are getting more for their money when compared to other properties in this city. 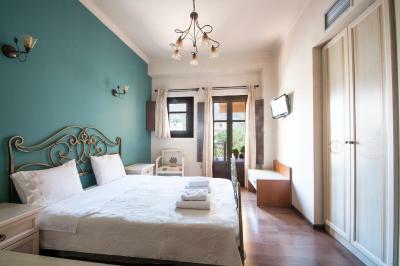 When would you like to stay at Areos Polis Boutique Hotel? 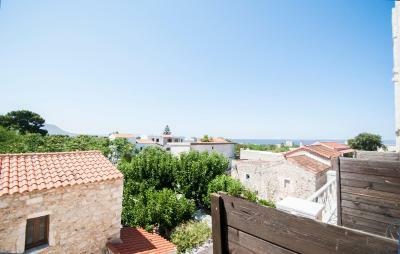 Includes balcony with views, satellite LCD TV, mini-bar, air conditioning and a private bathroom with toiletries and hairdryer. Some with a marble fireplace, the junior suites feature a luxurious bathroom with whirlpool bath. Some units are located on an elevated ground floor and feature a private balcony with views of Areopolis and Taygetos Mountain. 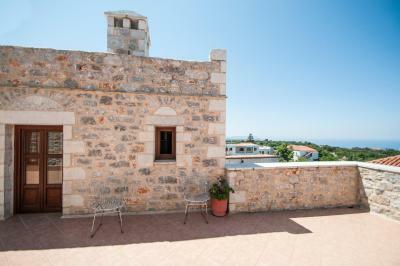 Other units are located on the tower side of first floor without balcony, but with big windows and view at the Taygetos Mountains. 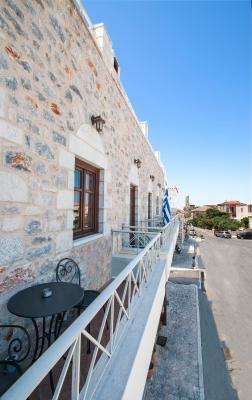 Includes balcony with view, free Wi-Fi, satellite LCD TV, mini-bar, air conditioning and a private bathroom with toiletries and hairdryer. 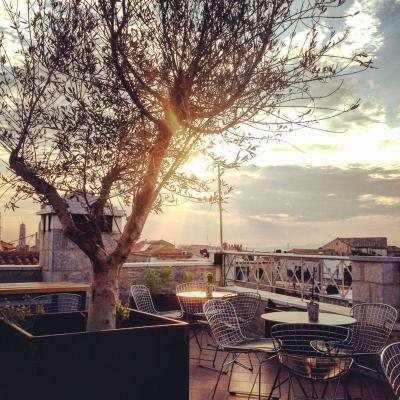 House Rules Areos Polis Boutique Hotel takes special requests – add in the next step! 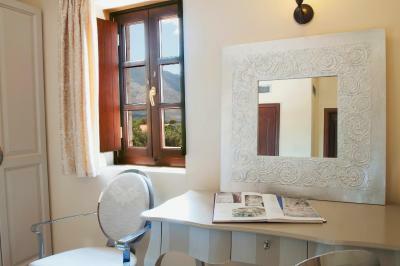 Areos Polis Boutique Hotel accepts these cards and reserves the right to temporarily hold an amount prior to arrival. Please note that the property is also accessible by guests with mobility issues. Bathroom dark and shower doors did not close ! Poor soundproofing and unfortunately very noisy neighbours. Lol....the doors are made to tip out...they aren't broken! The breakfast offered by the hotel was mediocre: tasty yet poor in choices. The balcony door didn't close properly and as a result water passed through and into our room due to heavy rain. Finally, the fridge was too small for a bottle of wine to be kept inside. I liked everything about this place. All of the staff were friendly & helpful...I was always greeted with a smile by everyone. Parking was right outside, the hotel was quiet even though it was right in the centre. Breakfast was good, and most importantly the room was great...comfortable, nice balcony, good shower etc. The bathroom is old dated but correct. The bathroom waws rather small. 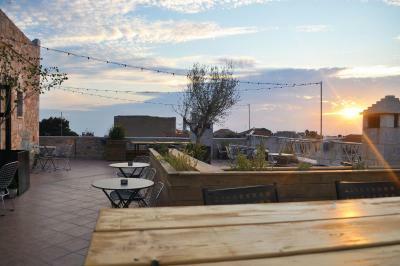 Delicious breakfast, nice staff, good wifi, my little pet was very welcome, room was spacious with a little terrasse.